The FIRST in a new series and I actually am reading it in order! If you've read many of my reviews, you know that this is unusual for me. I'm super excited because this was also a brand-new-to-me author. New author, new series, yeah, I was pretty excited. So, let's get started, shall we? First of all, I would like to address the characters. LOVED them. Well-written, witty banter, realistic issues among them, I couldn't find anything with the characters that I didn't like. They had unique careers that haven't been overly done in the genre and it lent itself well to the way the story was written and progressed. The interpersonal relationships were fun but what impressed me the most was all the FEELS in this book. I wasn't crying over every little thing but the emotional ride you are taken on was amazing. The characters were so easy to connect to and the plot was done so well that there wasn't anything to take you out of the story. That just doesn't happen. If I could give this book 6 stars, I would. I was so caught up in it, I didn't even find myself trying to guess "whodunnit" or which next twist or turn would come. Speaking of twists and turns, there were definitely many. Secondly, this was a pretty informative book. I know nothing about flipping houses. I don't watch fixer upper shows all that much. This book introduced a lot of new information to me but did so in a manner that I didn't feel as though I was being educated. There are times that I read a book and have to use the dictionary to learn all the various terms that are unique to the niche it focuses on. That didn't happen with this book. Everything was so well written into the story that I followed it very easily. Lastly, the settings were all incredible. I could easily see layouts in my head. I wasn't bored by the descriptions of various places but instead found myself easily envisioning each step through the eyes of the various characters. I could feel the heat and humidity while sitting outside at a picnic table. I could feel the house being worked on slowly becoming a more refreshing temperature once the central air had been installed. These are fairly common and boring events that were conveyed in a manner that they simply slipped by unnoticed. Verdict? As I said earlier, I loved this book. I cannot wait to read more in this series. Judi Lynn is an extremely talented author. Thank you so much to Judi Lynn, Kensington Books/Lyrical Underground, and NetGalley for giving me the chance to read this book and share my honest thoughts and opinions with others. Talk About Skeletons in the Closet! I tend to gravitate toward fiction with psychological twists and imminent dangers around every corner, but every once in a while I crave a break and pick up a cozy mystery. I still get the satisfaction of trying to solve the puzzle, but with a lighter atmosphere. Bonus points if there’s a little romance thrown in. 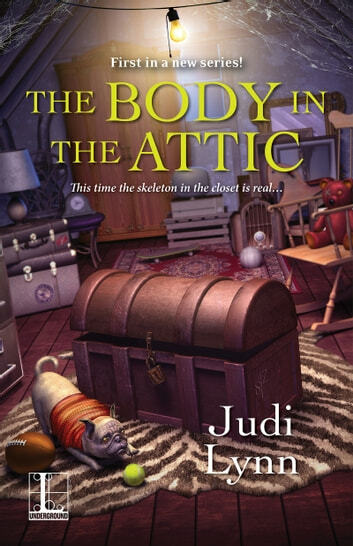 That’s exactly why I picked up Judi Lynn’s THE BODY IN THE ATTIC. And that’s exactly what I got. The author promises a story rife with questions regarding her long-missing aunt. She delivers on that promise, and then some. Not one but two murders need to be solved. And on top of it all, there is a budding romance. All in all, my idea of a good time. The heroine is strong and independent. The love interest is a dream. And the reader can’t help but suspect so many people until the murders are solved. This is a fun and easy read, and one I’m glad I downloaded from NetGalley. Enjoyable cozy mystery with a budding romance. Fun characters and interesting plot. I really enjoyed this. It’s a solid start to a cozy series, building a nice foundation for later books. I like the big family dynamic and the use of history and old secrets. I received a copy of this book from the publisher in exchange for an honest review. I was not paid for this review. 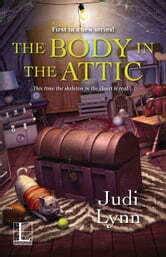 The Body in the Attic, the first Jazzi Zanders Mystery, was a surprisingly emotive cozy for me. Judy Lynn, the author, really causes me to care about the deaths (count ‘em- two) in the novel. I think this may be why The Body in the Attic stands out to me. Usually, the dead people are so odious everybody, including the reader, is glad they’re gone. In this case, I guess I felt real pain for those left behind. Jazzi and her cousin Jerod are house flippers who find a certain body in the attic of the latest house they are fixing up. I love the love triangle that Ansel, their construction contractor, gets involved in, but it was weird. For once I thought sure I knew who was guilty. But no, Lynn did a great job and I missed it by a mile. Great snarky quote? “...she chased dollar signs harder than greyhounds chase rabbits.” I do need to add the caveat that I do not agree with all situations and language in the book, but I still enjoyed this new start to a series and look forward to the next. I received a complimentary copy of this book from the publisher and NetGalley. All opinions are my own and no positive review was required.